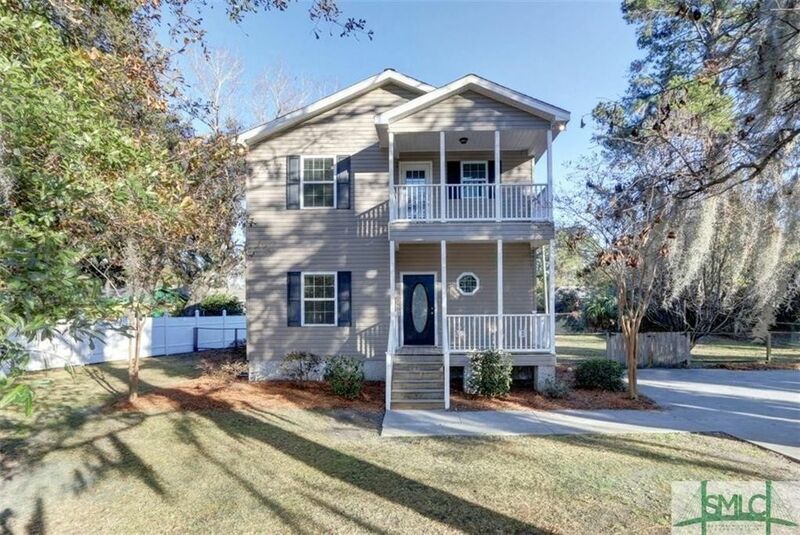 Thunderbolt fishing village, double front porches and back deck. Kitchen with white cabinets, washer/dryer closet, range, refrigerator. One bedroom downstairs with private bath.Hardwood floors downstairs and hardwood stairs. NEW CARPET & PAINT THROUGHOUT Close to Savannah State, Johnson and walk to River Drive. Fenced backyard.